A single vehicle crash on PA State 534 in the Tannery section of the township killed one. 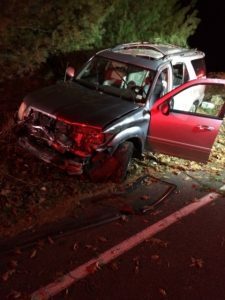 The vehicle which seemed to be traveling at a high rate of speed struck a stone wall near the Mountain Laurel Country Club. The victim was found outside of the vehicle, and medics called for an air medical helicopter. Rescue 17 was diverted to the country club parking lot to establish a landing zone. The helicopter was eventually recalled when the victim succumb to his injuries.